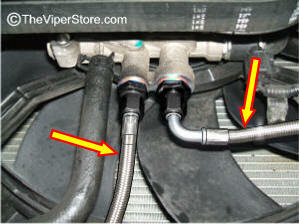 These lines replace the OEM lines that have a habit of leaking on the Viper SRT. 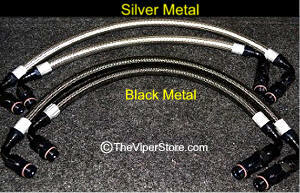 The lines are Black or Silver braided Hi-pressure lines , with clamped ends, produced and hand built in the USA. 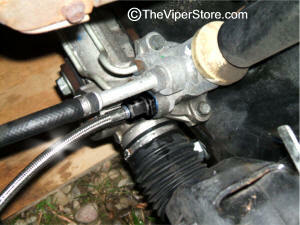 These lines also have a lifetime warranty. 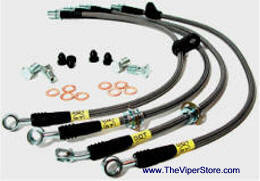 All items are included for a complete bolt on kit with relatively easy installment made using series smooth bore black steel braid hose with Black permanent clamps, lifetime warranty lines . 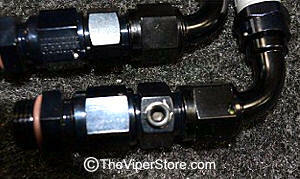 These lines also have an extra port for additional pressure gauges if needed. 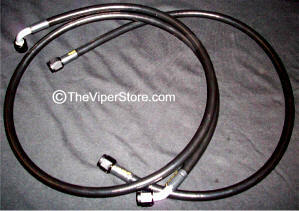 These lines have Black Fittings and Black or Steel Color Hose. HIGH Performance! Stronger & Look Great! 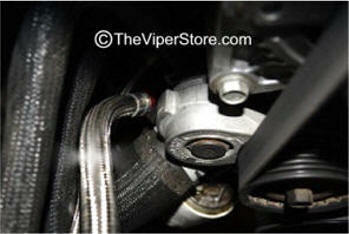 NOTE: IF you have an ACR please call order in.